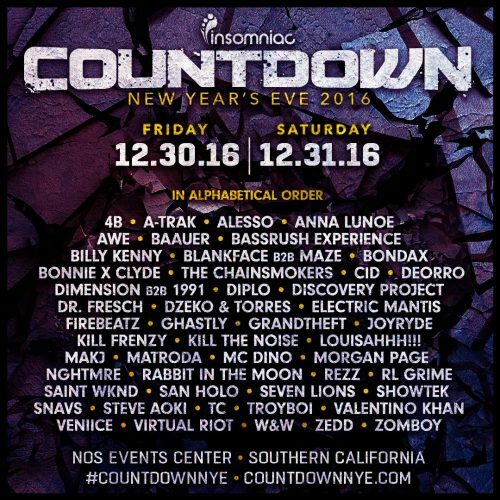 Insomniac's 3rd annual New Year’s Eve celebration, Countdown, will return to NOS Events Center in San Bernardino, CA, expanding across two enchanting evenings to ring in 2017. 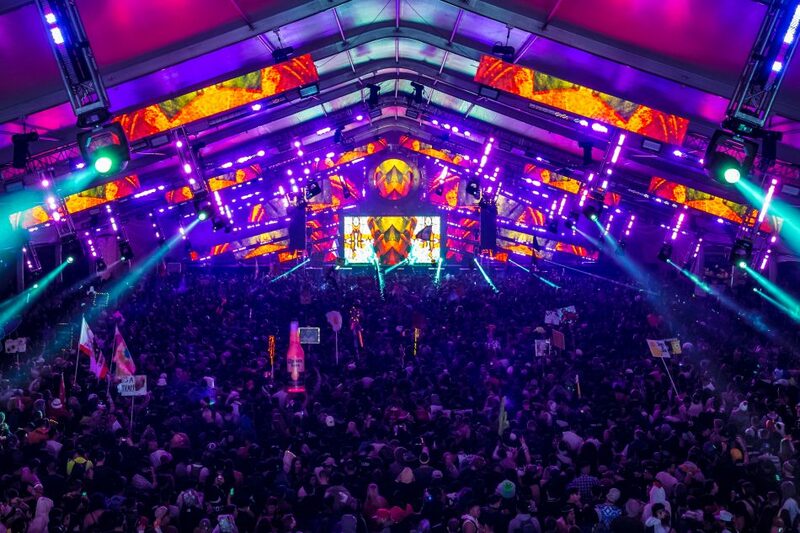 Set to take place Friday, December 30 and Saturday, December 31, 2016, you, the true headliners, will come together to celebrate new beginnings during the last weekend of the year, surrounded by multiple stages, mind-blowing production, festive décor, beautiful art installations, and an unforgettable soundtrack from world renowned dance music artists. This two-day festival will feature massive artists such as, The Chainsmokers, RL Grime, Zedd, Alesso, Diplo, and Anna Lunoe. For the first time, Countdown will span over two enchanting nights where attendees can immerse themselves in a vibrant landscape full of festive décor, neon-lit art installations, confetti showers, champagne toasts and cozy heated corners around the beautiful moonlit lagoon. Two-day and single-day General Admission and VIP (21+) passes for this 18 and older event are on sale now, here. 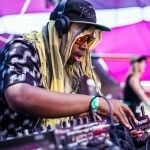 To stay up to date with the latest Insomniac news, visit www.insomniac.com.